Spring break can't come too soon my friends...one more week! I have been so busy trying to create some new lessons and units to go with upcoming FOSS units...testing my kiddos...report cards needed to be done Friday...my daughter was in town on her spring break (making little time to update blogs if I hardly get to see her...one has to use their time wisely!) last volleyball tournament in Milwaukee, taking us away from work at home...and now it is track, softball, and baseball season. Yikes! Kinders got to build leprechaun traps...I showed them the squirrel trap that I had out in our school garden...gotta catch that little bugger! Firsties got to finish up their "Toy" unit otherwise known as Balance and Motion...I like the title toys better...so do the kids! 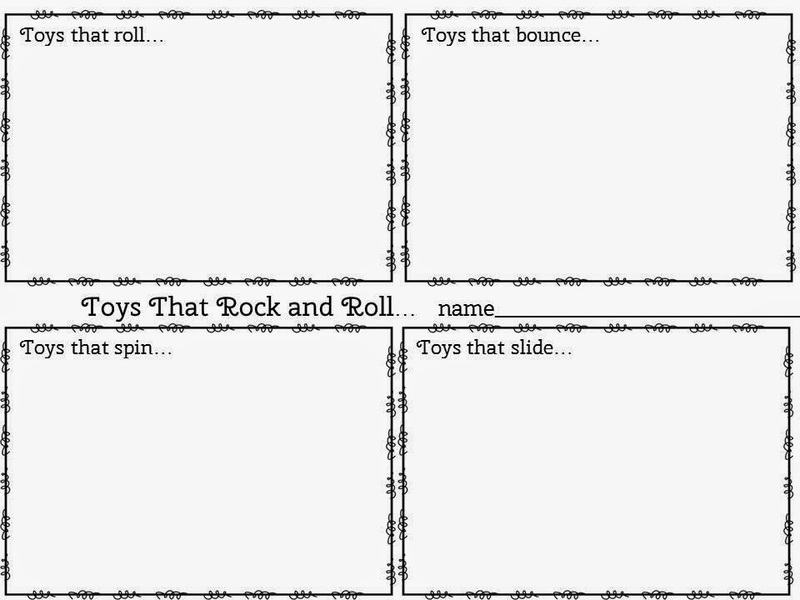 We shared toys that slid, rolled, turned, and bounced! Here is their sheet...a freebie for you! 2nd graders have spent the last two weeks on a new unit I am in the process of making using the 2nd grade NGSS science standards. They seem to love it...they are learning about biomes, making topographical maps, and planning a trip for spring break. It seems to be great timing for them...and makes it fun to get ideas of things that are out there to do and what we can do in our own hometown! 3rd graders just went to a WEDing this last week! A fun spin on teaching weathering...erosion...and deposition! That new pack is coming soon too. 4th graders are finishing up on their human body unit. I used my Cardiovascular System Heart Healthy Science Stations Pack for two weeks, followed up by teaching the kids how to read labels on food packages! Here is a great site figuring out food labels at Kids Health! 5th graders have been working on engineering projects and their final mixtures and solution test! We made a chair for our bear and a tower with index cards. It was a nice break from a kit. Can't wait to start our new units next week...right before break to get them excited about coming back for quarter 4. Sorry...I had more pictures, but I left my other camera at school. My bad. Have a great weekend!